For the first time, my writing has been published in print! 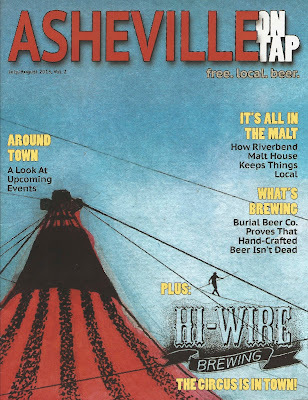 AVL on Tap is a new Asheville magazine that covers the local beer beat. Founder and Editor Mitch Morgan invited me to write a piece about Riverbend Malt House, and I was glad to oblige. Look for the (free!) magazine around town at all your favorite craft beer spots, or check out the digital version by clicking the picture below. Hope you dig it! Cheers!